How Unbreakable Are the Backstreet Boys? The Backstreet Boys is one of the most popular bands on the face of the planet. Starting in the mid 90s, the team has evolved from young kids to a powerful force in music. Managing to stay in the limelight, despite the shift of current mainstream, the boy band attempted a "comeback" album Never Gone in 2005. Spawning a few recognizable songs, the album didn't sell as well as hoped and none of the songs made it to No. 1 around the globe. Shortly after, a member of the band went his way to live life, putting the boys at a halt recording the next record. The remaining four boys stayed together and record an album that will be released on October 30th, called Unbreakable. A few songs have leaked over the internet in recent weeks, including a cover of Bastiaan Ragas' song "Helpless When She Smiles." It was rumoured to be the first single, but had since been pulled and replaced with "Inconsolable" as the first choice. "Inconsolable" is a power ballad written by Emanuel Kiriakou who also wrote Nick Lachey's only hit from his recent album "What's Left Of Me." Unbreakable starts with a short intro of the boys harmonizing, lead by A.J. McLean. The intro is a prelude to the album, in which ends with "Unsuspecting Sunday Afternoon," the last line of the intro. "Everything But Mine" follows, playing along a synth pop sound with a haunting vocal melody. Changing pace, "Inconsolable" is the next track, similiar to Never Gone's first release "Incomplete." The boys perfectly blend in the chorus, explaining that the relationship isn't easily let go. This time, the boys have strengthened and matured their songs. "Something That I Already Know" is a mid-tempo tune that plays off as a follow-up to "Inconsolable," finally moving on from the bad relationship. Melodically it also resembles the latter. The Backstreet Boys have always mixed uptempo pop songs with ballads that can break a heart. Their cover of "Helpless When She Smiles" is opened by A.J., rich smokey vocals that lead into a powerfully arranged chorus "She dances away just like a child/ She drives ya crazy drives me wild/ But I'm helpless as she smiles" sung by Nick. Other ballads included in this grown-up boy band collection are "Love Will Keep You Up All Night" and "Unmistakable." "Love Will Keep You Up All Night" is every person's song who has a crush or a strong feeling towards someone and overpowers your thoughts. "Unmistakable" is a must have for every fans MP3 player. A tender ballad of finding love that's only imagined, uncertainty fills the lonely song. You never know when you're going to find it and if it's going to be recognizable. Aside ballads, the album isn't full of tearjerkers or pop boy bandish songs. "Trouble Is" is slow but mature. Again they sing about having trouble letting go of love, but one of the better tracks of the 14 on the U.S. tracklisting. Closing with "Unsuspecting Sunday Afternoon," the Backstreet Boys have made a strong effort to come back to the top of the charts without Kevin. Unbreakable is just that as these boys are unstoppable and have shown us they will keep making albums for their longterm die-hard fans. 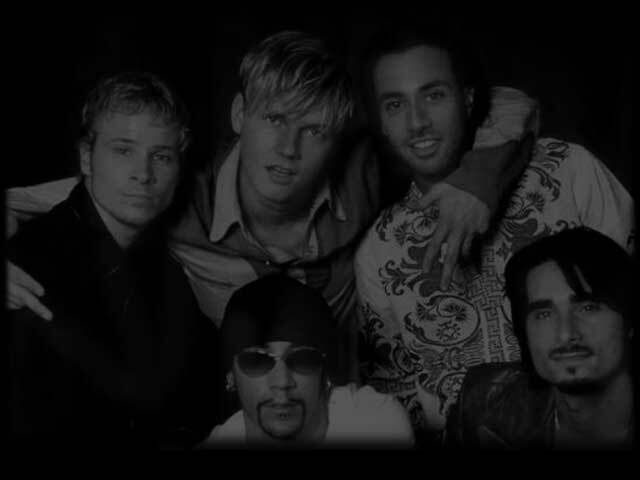 If fans are wanting more Backstreet Boys, they can import the record from Japan which will include three bonus tracks. "Downpour" has sadly been cut from the U.S. list as it plays along a relatable piano and guitar driven arrangement. "In Pieces" and "Nowhere To Go" are worthy of importing the record as well. The Backstreet Boys' Unbreakable will be released October 30th along with Britney Spears' Blackout. It will be a battle of veterans from the era that lasted almost more than a decade between the two acts. 465g5L Thankyou for all your efforts that you have put in this. very interesting information.